A chart explaining the rules of the simple present. 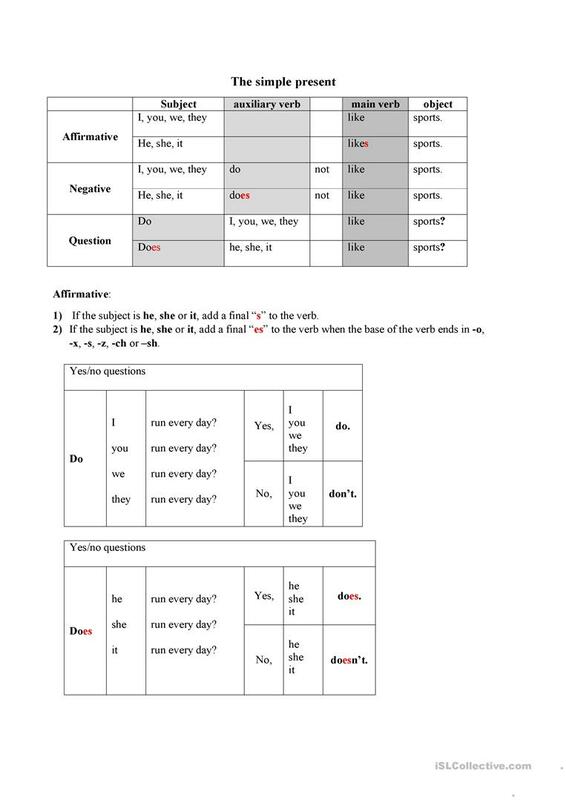 It also explains how to form yes/no questions in the simple present and how to answer. It is written in a simple way so that everyone can understand this topic. The above downloadable printable was created for elementary school students at Elementary (A1) level. It is valuable for practising Present simple tense in English, and is a valuable material for developing your learners' Writing skills.